Episode 006: X-Files Debrief – The End? This weekend we sit down with CHSR’s very own Erin Bond and Chris Waddell for a much-needed X-Files debrief. The miniseries ended on Monday night leaving us with more questions than answers! What did you think of the finale? We’ll be sharing our thoughts about the massive cliffhanger ending, as well as our impressions of the other episodes presented during this long-awaited (and probably too-short!) X-Files revival. Also, The Walking Dead changes gears in a new episode, set 2 months after securing Alexandria. Daryl and Rick rekindle their bromance and meet a new player with mysterious motives. Spencer seeks closure after 2 months of searching – and love is in the air…Discuss! Be sure to join us Sunday night at 9PM AST (8PM EST) on CHSR 97.9FM! The Walking Dead is back and the survivors (or what’s left of them!) have retaken Alexandria. In this episode, we survey the damage and compare notes with Volume 14 (“No Way Out”) of the book. On Better Call Saul, Jimmy inches closer to his better-known alias as he takes a break to ponder the consequences of doing the right thing. And there’s only one episode left of the X-Files! We recap last week’s episode and make some uninformed guesses as to how Chris Carter intends to tie up loose ends from the first episode on Monday night’s finale. Tune in to CHSR Sunday at 9PM AST/8PM EST! This weekend on The Recap Sequence we’ll be talking about Sunday night’s mid-season return of The Walking Dead as well as Monday night’s season 2 premiere of Better Call Saul on AMC! We’ll also discuss current episodes of the X-Files, The Shannara Chronicles and DC’s Legends of Tomorrow. Tune in Sunday at 9PM AST / 8PM EST on CHSR 97.9FM! (chsrfm.ca). This weekend we take on the Marvel Cinematic Universe with ECCE co-founder and Marvel subject-matter expert, Brent O’Hara. We’ll also recap Episode 3 of the X-Files and start the countdown to NEXT week’s mid-season return of AMC’s the Walking Dead and season 2 of Better Call Saul! Tune in to CHSR 97.9FM if you are in Fredericton, or catch our show online a chsrfm.ca Sunday nights at 9PM AST / 8PM EST! 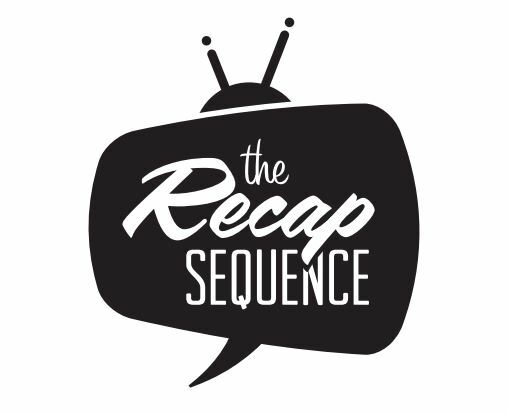 Follow us on Twitter @recapsequence and subscribe to our feed on iTunes!